LONDON - Renault is to launch its entry level marque Dacia into the UK market by 2012, as the French manufacturer looks to emulate the success of low-cost brands such as Kia. The announcement was made by Renault UK managing director Roland Bouchara at this week's Geneva Motor Show in Switzerland. Originally designed to target emerging markets in Eastern Europe, Renault claims that over 1.25 million Dacia models have been sold over the past five years. Renault purchased the Romanian marque in 1999. 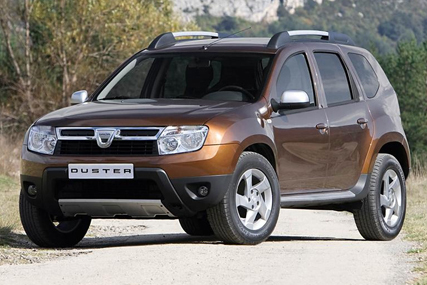 The first model to go on sale in the UK will be the Duster compact off-roader, also unveiled at the exhibition in Geneva. Bouchara said: "We've been watching Dacia's remarkable success closely over the past few years, so naturally I'm thrilled that we'll soon be able to start showing the British public what all the fuss has been about across the water. "With value-for-money, downsizing, fuel economy and emissions all becoming increasingly important, we want to show that Dacia can appeal to the head, the heart and the wallet." Although Dacia spends little on above-the-line advertising across Europe, ad duties are handled by Publicis, while media buying and planning is handled by OMD.